LegalShield with Kroll has buy FAR the BEST I.D. Theft Product on the market. we go father than any other company. $17-$36 a month. The Kroll ID Theft offered exclusively through LegalShield is much more than credit reports and a customer service center like most other id theft products. I'm empowered every time I call my licensed investigator, it's an awesome experience and valuable service I wouldn't be caught without! They cleaned up a medical identity theft for me. I was told it can take a person 2 or more years to do it on their own and they had it completely cleaned up in several weeks. I don't think any of the other companies do the restoration for you with licensed investigators. Thank you Legal Shield. I Love ID theft with Legal Sheid. It is definitly the most comprehensive product. They heped me with an ongoing problem. and did all the work for me, restoring my ID. I didnt see where lifelock would do that. LegalShield does offer monitoring from all 3 bureaus, but they have an exclusive partnership with Kroll Advisory Solutions -- a 42 year old company that deals exclusively with ID Theft. Kroll is a GLOBAL risk management company. Kroll was hired by the Philippine government & found where Marcos' millions were. Kroll is the one Target paid to clean up their recent ID theft. LegalShield puts it in writing that the ID theft restoration is not complete until the customer says it's complete. I dare you to find any other ID Theft product with that kind of written guarantee! I am a very pleased client who has used their investigative services. 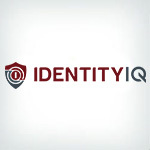 This is the only product that provides complete identity restoration meaning they (not you) will do whatever it takes for as long as it takes to restore your identity. This company also has a premium protection plan that exceeds anything else available. They have complete restoration. Kroll is the best. I love having Kroll Advisory Solutions, the Top Investigative Company in the World on "speed dial", offered exclusively through LegalShield. You call a toll-free number and a Licensed Fraud Investigator answers the phone! If anything ever happens, they fix it FOR YOU! Awesome service and it DOES monitor all THREE bureaus! Wouldn't be without it. This is the only company I trust with my families ID. They are the only company that gives me a license investigator through out the whole process and they offer FULL restoration! LegalShield offers a good Identify Theft Premium Service that monitors all three credit reporting agencies. I've done intense research and the Kroll Advisory Solutions product offered through LegalShield is the best coverage AND the best value. Extremely satisfied customer, wouldn't be without it - gives me unlimited access to the top investigative company in the world and coverage for ALL 5 Major Types of id theft, not just credit-related! ID theft protection and restoration with Kroll has a licensed investigator do the work on your behalf. Kroll is the number one risk mitigating firm in the world and is exclusive to LegalShield. This is the only company that offers true restoration with forensic investigators through Kroll Advisory Solutions, a 40 year old company. And the only company that offers attorneys for criminal, medical, drivers license and social security legal questions related to fraud. Hands down the BEST EVER value! You're info needs to be updated as they have a plan which monitors all 3 credit bureaus besides help in all 5 areas of ID Theft. Great customer service. Good site and information. To get an accurate, apples to apples comparison, look at LegalShield's premium plan. It's not the credit monitoring that concerns me, it's the monitoring of my health insurance card, ss number, name and address use - all on the web that has me using this service. Plus, I like that Kroll assigned a licensed investigator should my identity be compromised. It gets restored without question. I had a $25 charge from a restaurant in Geneva, Switzerland on my business credit card. I immediately called LegalShield and they put me in touch with a licensed investigator from Kroll Advisory Services. He told me what to do to get a new card in a few days and he put a 90 day fraud alert on my other two credit cards. He said they deal with this on a daily basis and assured me he would check the monitoring and let me know if anything was happening. Two months later I was credited back the $25 and my identity across the board has been clean ever since. Fantastic! I received a letter in the mail from the State of Texas mentioning my address and social security number, but someone else's name. I contacted LegalShield to consult with an investigator who ran a scan on my social security number for any changes in my personal information. He verified that no changes has been made to my information and concluded that it was a data entry error. He recommeded that I contact the department in Texas of the discrepancy the correct the issue. Although I could have called the department directly first, but I felt much better that I was able to verify that there was no activity because of the issue.